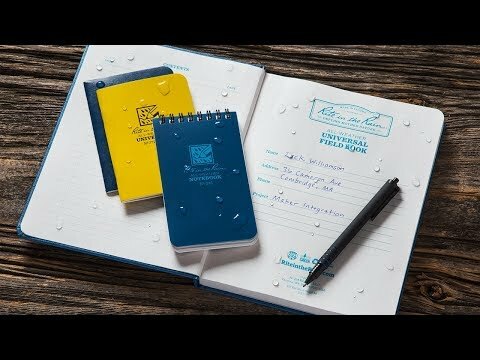 These spiraled waterproof notebooks are Made for a Lifetime to stand up to rain, sleet, mud, and snow. Their pages have a unique moisture shield that you can write on—even if the paper is wet—with a pencil, crayon, or a special Rite in the Rain pen. Maker Jerry Darling created this rugged writing surface almost a century ago to stand up to the elements. His innovative design is still being Made in the USA. Dimensions: Each: 3" x 5.25" x 1.13"
I am always thinking of things I need to do or things I should do~~all sorts of things~~when I am in the shower. This works! The note-taker in my life loves these! They work very well! this is a gift for my father - he's always carrying around a notepad - he'll love that this one is weather resistant!